A few images showing 55 022 inside the Wheel Laithe Shop at East Coast Trains Craigentinny Depot yesterday, which we hope you find of interest. Thanks very much to Andy McLean, Andy is a major part of our Support Crew and also an employee of East Coast at the depot. ‘ROYAL SCOTS GREY’ THURSDAY 8TH & FRIDAY 9TH JANUARY ETC. 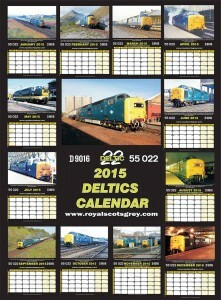 ‘ROYAL SCOTS GREY’ INFO UPDATE.